What will happen I cannot say? But I’ll find something, come what may. As spontaneity is always the best. This was written on a twenty minute tube journey. It’s amazing how your mind can come up with great things on the spot! Why did it have to seem so real? And will her disappointment ever heal? Nearly eight months ago I lost my Grandad. I’ve been experimenting with poetry lately and ended up writing a poem about him. I haven’t written poetry in a long while, but I’m quite proud of this. Couldn’t you have stayed a little while? Until I meet you again wherever you are. So we are now in August. Wow July went quick didn’t it?! At the start of July I set myself some goals for the month. I did aim to achieve them all. I thought I’d revisit them to let you all know how I got on. 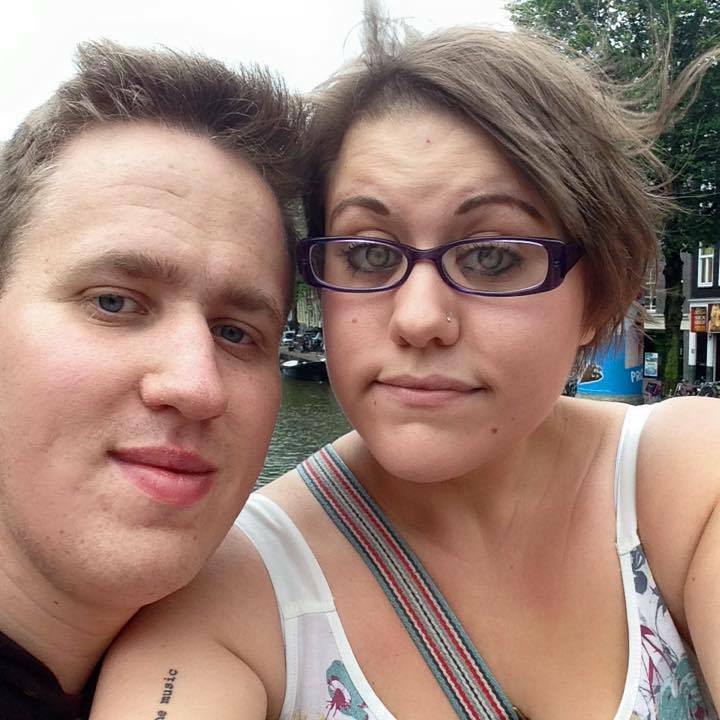 Get my 3 stone award at Slimming World – I got my 3 stone award just before I went away to Amsterdam. 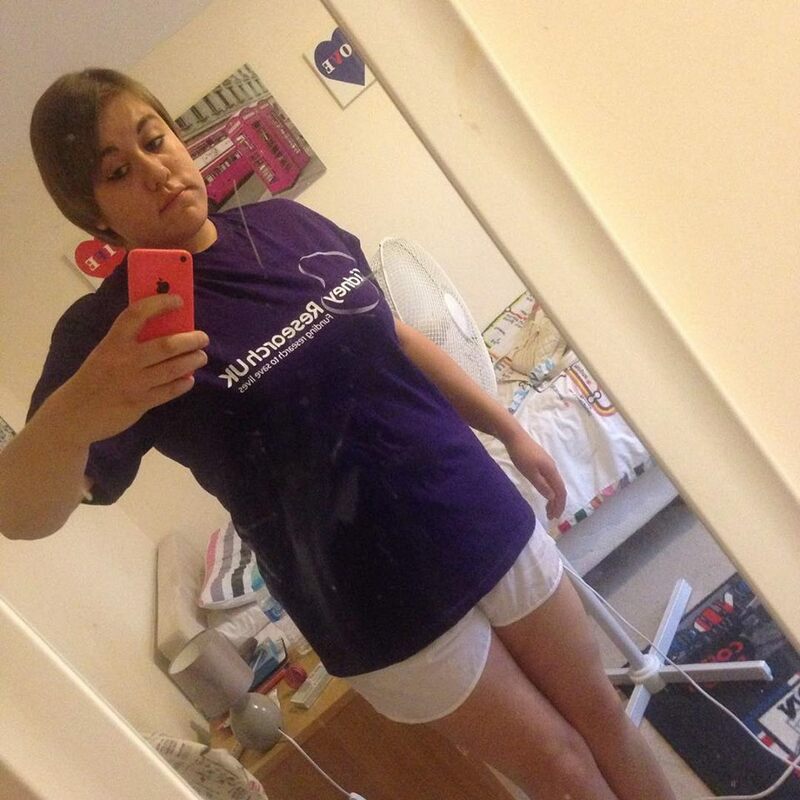 I was so proud of myself, as I never thought I could even loose 1 stone. Survive my first break away without parents – Well I did survive and I had a bloody great time! 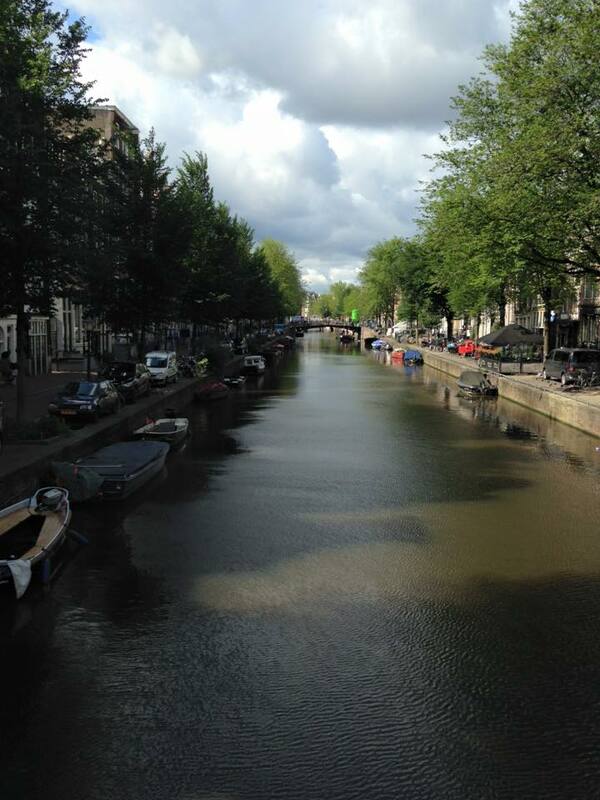 Amsterdam was honestly amazing. It’s one of the best cities in the world in my opinion. Everything about it was just beautiful. 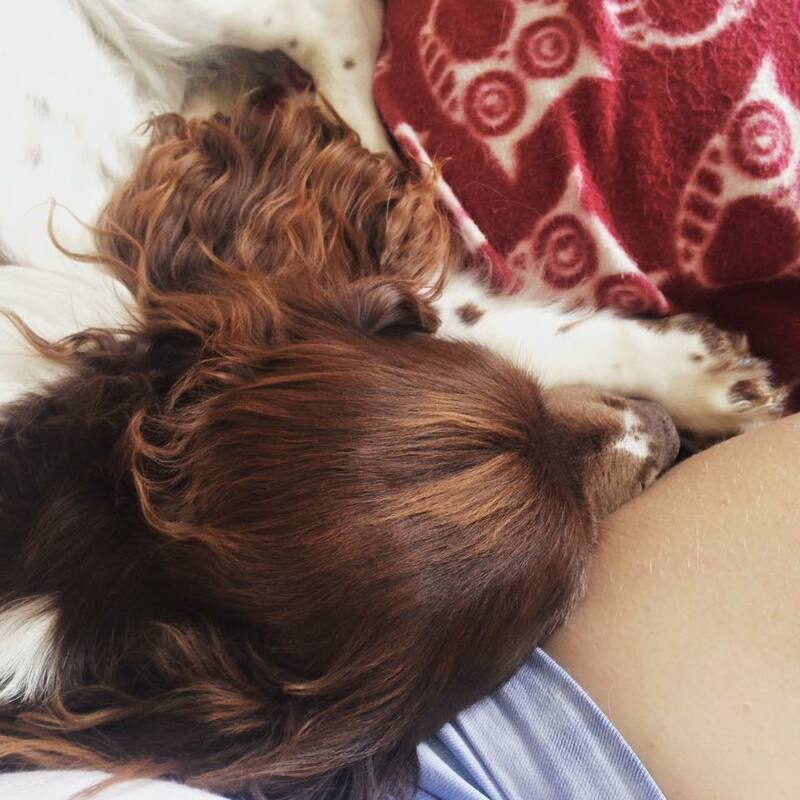 I cried on the plane home as I didn’t actually want to leave. Complete CampNaNoWriMo – I did complete my 10,000 target word count. I really enjoyed writing the first bits of my novel. I got so stuck in that I started thinking about my characters constantly, and even wrote down scenes on my phone when I was out and about. Continue doing well at my job – I’ve been offered a chance at being trained up in the Cash Office which is always good. See friends more – I kinda failed at this. Work has been so busy that I haven’t really had time to have a social life. However I have been keeping in touch with friends through texts, social media etc. 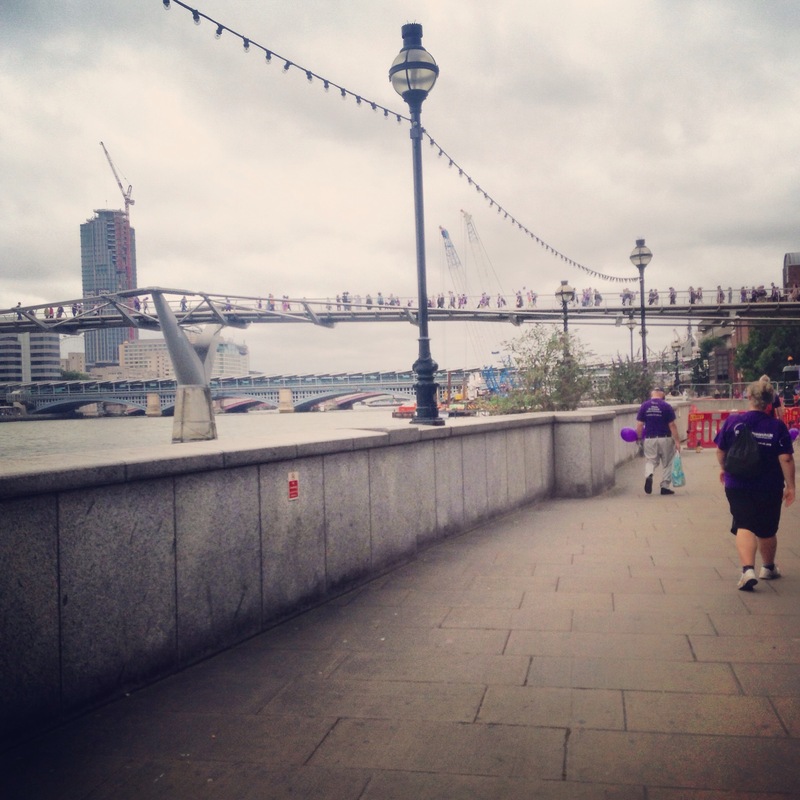 Complete the 7 mile London Bridges Walk – I wrote a blog post on this a few weeks ago. It was a brilliant day for such a good cause. I can’t tell you how pleased I was when I crossed that finish line. I did pretty well at achieving my goals, and I’m proud of myself for achieving a lot in just a month. I think I may have to do some goals for August. So this Happiness post is a few days late, but I’ve had a very busy week, so I’m sure I can be forgiven. I hope you are all feeling positive, and not letting anything get you down! Had a week off work. It was my 22nd birthday on Saturday. I had a lovely, but quiet day with James and family. I did get slightly spoiled. I received a lovely birthday package from my penpal over in America. I loved what she got me! I brought a few new dresses in the sale. Now that I am smaller, I love clothes shopping! My Tsum Tsum collection is growing. I have the Frozen and Snow White sets so far. I got to spend the whole week with James. See you next week for more positivity! Keep smiling and being awesome! So as I’ve been feeling a lot happier recently, I feel like spreading some positivity to people who need it. 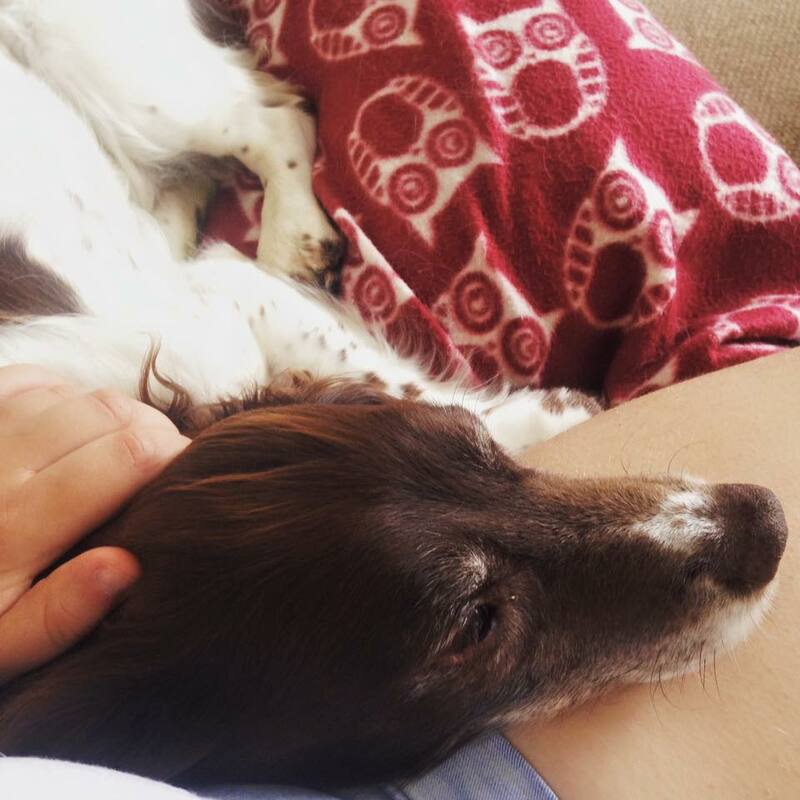 So I’m gonna start a little blog series called ‘Happiness’. Every week I will be writing down a list of things that make me happy, and also a paragraph or two of things that have made me happy that week. I’m hoping this will encourage others to think more positively and maybe start writing lists of their own. I got my 3 stone award at Slimming World. To date I have lost 3st 1lb. Been offered a chance at being trained up in the Cash Office at work. Only one more shift at work left until my week’s holiday. I’ve started packing for my trip to Amsterdam. James sent me a lovely good morning message one morning. I’m starting to speak up a lot more at work. I completed my CampNaNoWriMo challenge of writing 10,000 words of my novel. See you next week for some more happiness and positivity! 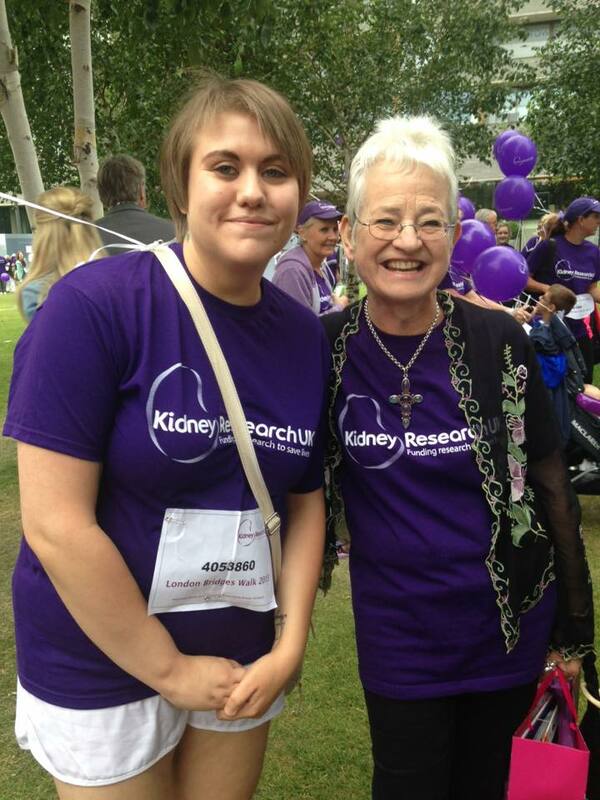 It’s a week too late, but on 12th July me and members of my family took part in the London Bridges Walk – a 7 mile walk along London’s most iconic bridges all in aid of Kidney Research UK. We had decided to do the walk a few months ago, in honour and in memory of my grandad who sadly passed away back in January after an eight year battle with Kidney Disease. Without Kidney Research we wouldn’t have had them eight years with him, so it’s a charity close to our hearts nonetheless. After a VERY early start, we made our way to Stratford in London, in two cars. We were then going to catch the tube from Stratford to London Bridge which was near our starting point. Our starting point was Potters Field Park, right near Tower Bridge. 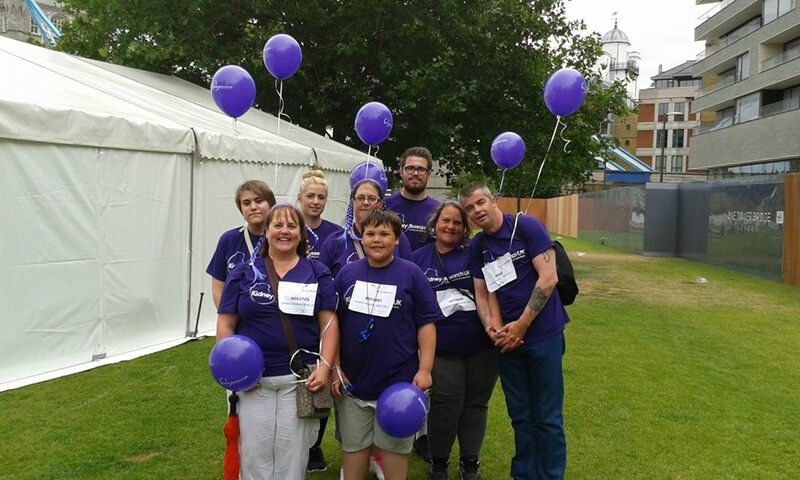 We definitely knew we were at the right place as there was a sea of purple (we all had to wear purple Kidney Research UK tshirts). I automatically realised how great it was that so many people were going to be taking part. After getting signed in, and being given our bottle of water and snack bar (we would definitely be needing it! ), we went to stand near the stage area, where some inspirational talks were taking place. Also, my favourite childrens author Jacqueline Wilson was there, and she also gave a speech. I also happen to know that she also took part in the walk with her dog. I was lucky enough to meet her just before the walk began, and it was such an honour to meet the woman who’s books got me into reading years ago. At exactly 11:30, Jacqueline cut the ribbon and the walk soon began as we made our way to bridge number one – London Bridge. The walk started off very slowly, as there were thousands of us all starting at once. It was also good, in my opinion to start off slowly as we got to chat to several other people taking part. It was amazing to see and hear people’s stories, young and old. It also made sure that we didn’t tire ourselves out too quickly. We soon reached London Bridge, and that was one bridge down. So that was one down with seven to go. However, I was feeling pretty good. 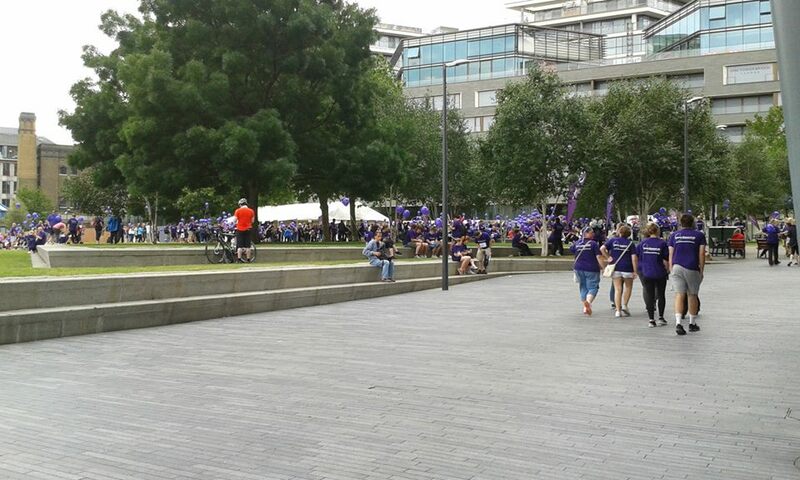 The big crowd had eased once we passed London Bridge, but we still saw many purple shirts (plus when you saw a purple shirt at least you knew you were going the right way!). Our next bridge to cross was the Millennium Bridge. As a major Harry Potter fan or Potterhead, I knew this was the bridge that got attacked by death eaters in the Half Blood Prince. This started off a big Harry Potter themed conversation between me, my mum and my auntie Val. 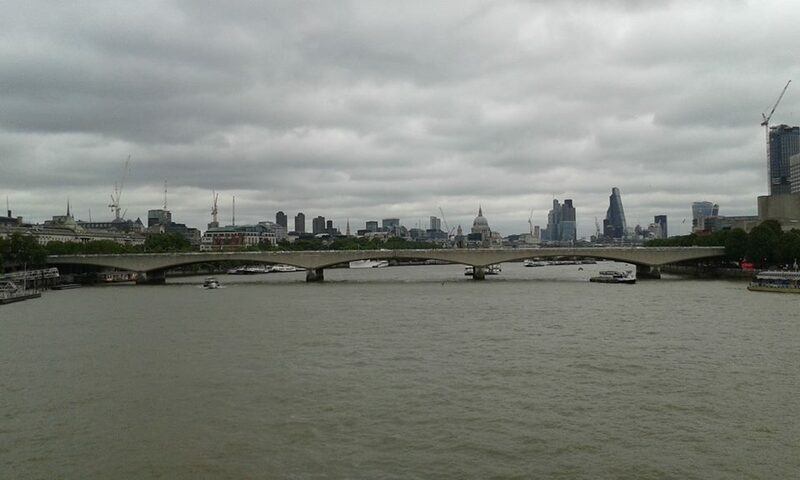 We were saying how there were no death eaters there today to destroy the bridge. I also may have mentioned a lot of my Harry Potter knowledge. We luckily made it across without being attacked by dark wizards. I also got to see the Tate Modern, which I’d been in several times. Bridges three, four and five were Waterloo Bridge, Hungerford Bridge and Westminster Bridge. 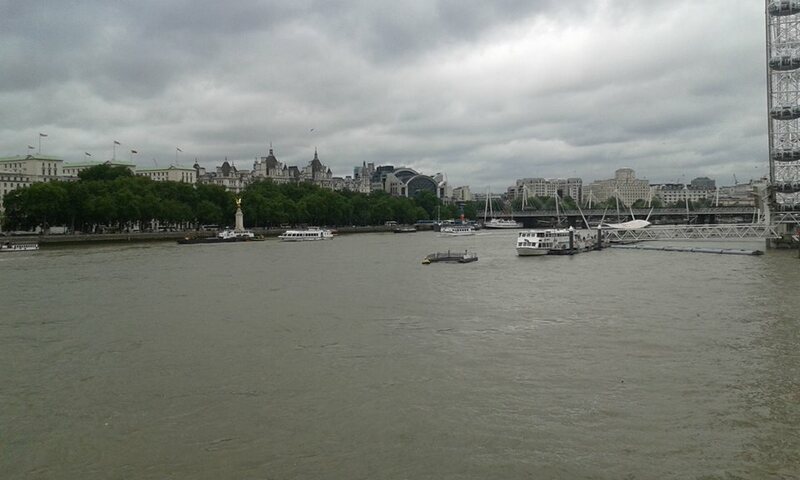 Once we crossed Westminster Bridge we knew that we were halfway there, and we had walked about 4 miles by then. Before Westminster Bridge we walked past the best part of London’s Southbank. We passed all of the street performers, jubilee gardens, the aquarium, the new attraction – Shreks Adventure and The London Eye. I also saw the book market which I loved, but sadly couldn’t look at it. This was also where we stopped for a rest, as we had deserved it by the amount we had walked so far. After resting for about twenty minutes we made our way across Westminster bridge. 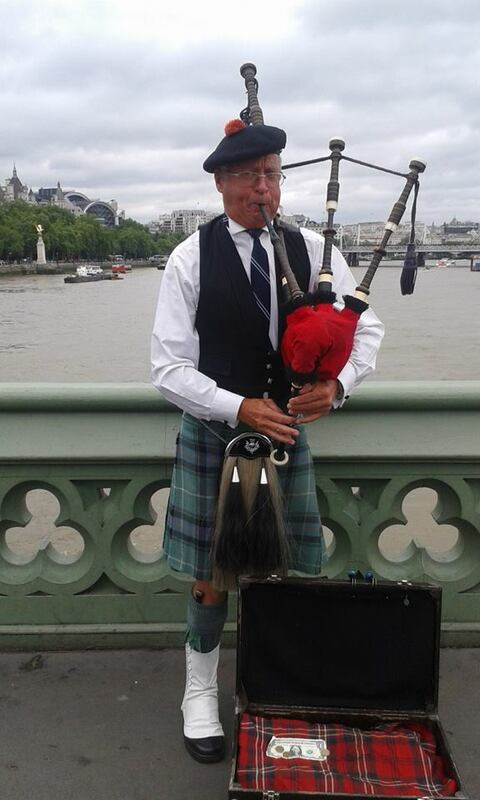 Whilst walking across we got a lovely donation from a few ladies which was lovely, we also saw a piper playing bagpipes. Grandad loved bagpipes so it was almost like he was with us, cheering us on. As soon as we crossed Westminister bridge we were on the return route. We had survived the outbound route, and the finish line was getting closer and closer in sight. We had quite a way till bridge six which was Blackfriars bridge. However we got through it by chatting, joking around and speaking to other walkers. This made the time go a lot quicker. I was feeling quite good anyway, my feet had started to ache by this point, but I wasn’t letting it get to me. I was focusing on what I was doing for a great cause, and how proud I was of myself. We eventually crossed Blackfriars bridge, which meant we only had two more to go! The end was really in sight now, plus Tower Bridge (the last bridge) was getting closer and closer. 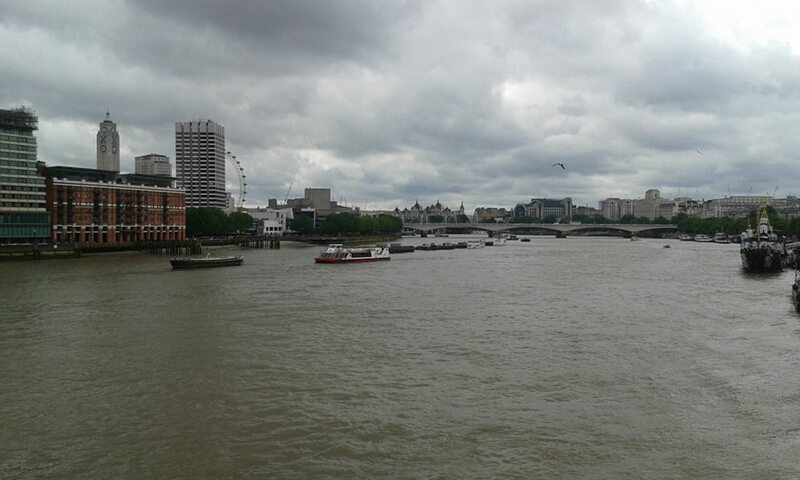 As soon as we crossed Blackfriars it was a short walk to the seventh bridge – Southwark Bridge. We crossed that with no problems, and we were starting to rejoice about the fact we only had one bridge left! However, as we were walking towards it, it seemed to be getting further and further away! It was like it was distancing itself from us. It took a lot of determination to get that thought out of my head, plus we were all getting quite tired by then. But, soon after walking past the Tower of London, we were on the home stretch. 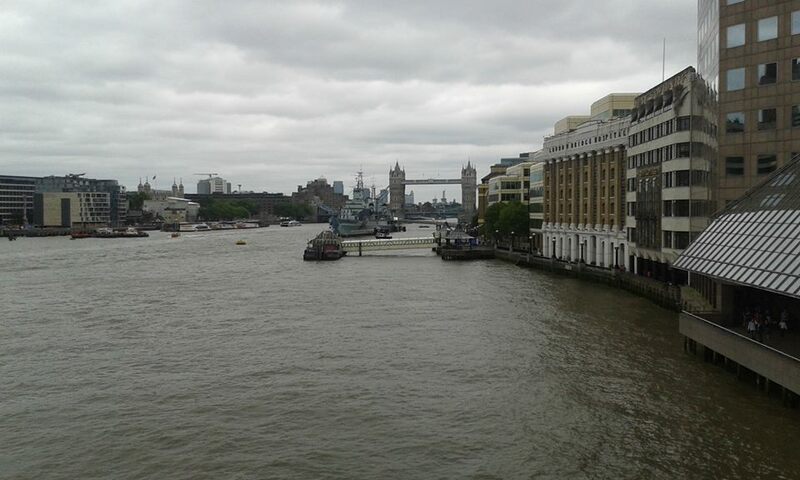 Crossing Tower Bridge felt amazing, as I realised that I had actually completed a 7 mile walk! I would have never have thought I would have achieved this. As we stepped off the bridge, a sense of relief and pride washed over me. We were soon crossing the finish line and receiving our medals. I couldn’t have been prouder of myself and my family than I was at that moment. 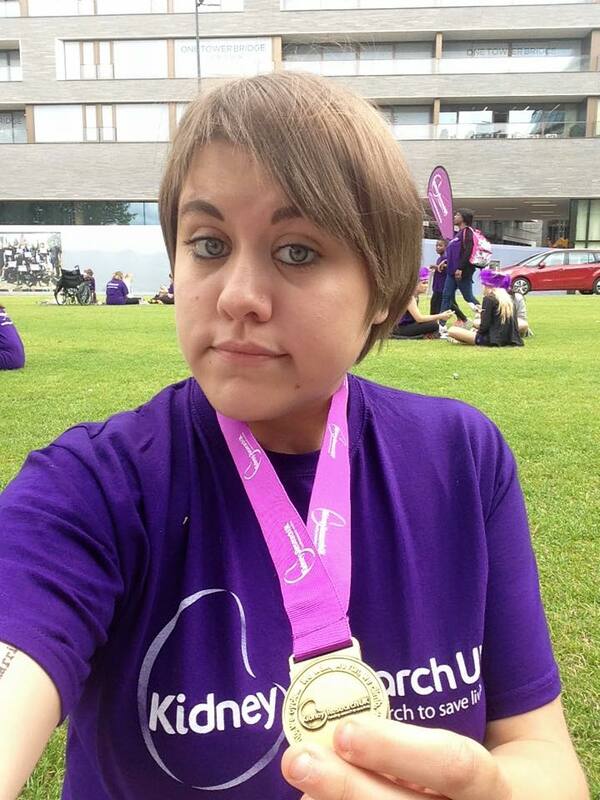 The London Bridges walk was one of the best things I think I have ever done! I achieved something amazing, I got to raise money for and spread the word about a charity that is close to my heart, I got to do it all with my family and I got to keep my granddad’s memory well and truly alive.